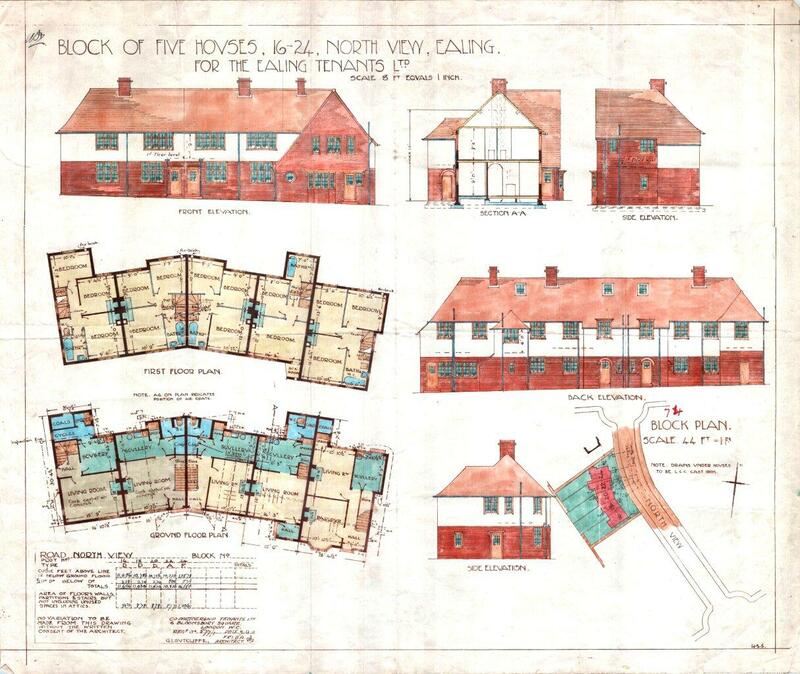 An example of one of the original architects’ coloured plans held in the Brentham Archive. Unfortunately they don’t exist for all houses on the estate but see what we do have. We also have some architects’ drawings. The plans make excellent framed prints to display in your home. Contact us for details of how to get your own printed copy.